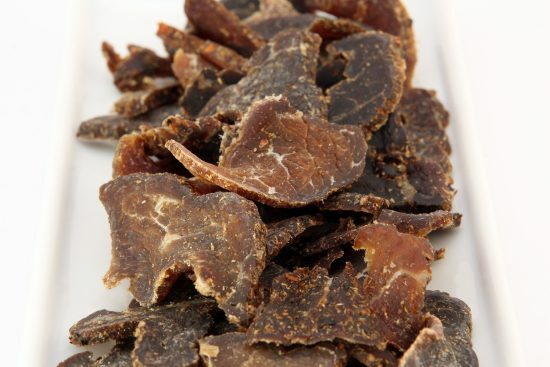 Beef jerky is a delicious and healthy choice when it comes to dehydrated meat products. While many people make dishes using beef jerky, it is most popular with backpackers who need an instant source of energy that is easy to carry and easy to prepare when they’re outdoors. Often, backpackers carry jerky with them to the trail and once they’re cooking their meals, they rehydrate the jerky and add it to the meal for an instant taste boost and a burst of tasty flavor. The best part about jerky is that it can be eaten without rehydrating as well and it tastes good, too. The only thing that jerky lovers often find difficult is to rehydrate the jerky and how to do it in the most efficient manner. Rehydrated jerky can be used in a number of dishes and it can make a meal taste delicious and wholesome on its own. In this article, we are going to take a look at the ways to rehydrate jerky, its benefits, things to take care of while rehydrating jerky and some of the popular dishes that user jerky. Hopefully, by the end of this article, you will have enough knowledge about rehydrating jerky that on your next outing you will be able to use your dried beef jerky in multiple ways to make delicious and filling meals. How to Rehydrate Beef Jerky? Rehydrating beef jerky is not very complex. You just have to follow a few simple steps in order to rehydrate the jerky for its intended purpose. Here are some simple ways in which you can rehydrate jerky. Soaking the jerky in water works best if you have time and you can wait a little while to cook your dish. Simply soak the jerky in equal parts water and cover it up. Keep checking on it every half hour for the consistency you need for the dish you want to make. Hot water will rehydrate the jerky faster and make it softer, but if you don’t have hot water on your trails, you can also soak it in water that’s at regular temperature. But that will take slightly longer to rehydrate. Noodles or ramen makes a filling and delicious meal when you’re out on a trail. It’s easy to make and it can keep you from feeling hungry for a long time. Simply add pieces of jerky to the boiling water and let it rehydrate before adding in the ramen. You will have a delicious beef jerky ramen ready in no time at all. If you have leftover broth from a dish and you don’t want to throw it away, simply use it to rehydrate your jerky pieces. Add the pieces of jerky in the broth and bring it all to a boil till the pieces are of a softer consistency. This will give you delicious jerky that’s soft and easy to eat. If you’re making soup on the go while you’re trekking or hiking, you can simply throw in some pieces of jerky as the soup is coming to a boil. As the soup heats up, the jerky in it will absorb the water and get rehydrated and you can have delicious soup with jerky bits in it. Here are some videos that can give you a visual guideline on how to rehydrate your beef jerky. Rehydrating beef jerky is a great way to make the most out of your meals. It also provides a healthy and nourishing way to get the vital nutrients and vitamins that you need while you’re hiking or trekking. Here are some more benefits of rehydrating beef jerky for your meals. Rehydrating jerky is not a complex procedure. All you need to do is add water to the jerky and wait. You can also add jerky to other liquids as demanded by the recipe that you’re making. Rehydrated jerky can be added to virtually any meal to provide a boost of energy, vitamins, and proteins. Dehydrated jerky doesn’t take up too much storage space and it is also very lightweight. You can carry large amounts of jerky with you when you go camping or hiking. Simply rehydrate and add it to every meal for a delicious taste. Rehydrated jerky tastes great when added to almost any meal when you’re out camping or hiking. From rice to noodles and veg pot pourri to soups and stew, any meal can be made interesting and delicious with the addition of beef jerky. Once jerky has been rehydrated, it can become contaminated by bacteria or microbes just like any other food. So, if you’ve rehydrated jerky, make sure you eat it as soon as possible and avoid storing any for later consumption. While rehydrating, avoid adding any salt or spices for the first few minutes of rehydrating as it can seep into the jerky and make it taste salty or of the taste of the spice you’ve added. If you want to add any salt, you can do so after you’ve prepared the dish. Rehydrated beef jerky is a popular food for those who regularly go on trails and treks. Here are some of the popular rehydrated beef jerky recipes that you can cook when you’re outdoors. Stew is an ever popular dish that you can cook with vegetables and meats that you have available to you. It doesn’t take much time and it is quite filling and nutritious. Simply boil 3 cups of water and 1 cup vegetables once the water is properly boiling. Add your jerky to the boiling water and let it simmer. You can add spices and garnish to taste once you see the jerky has softened through proper rehydration. This can be a nourishing hot meal on any evening under the stars. There can be a number of rice meals that you can easily prepare when you’re outdoors. Bring water to boil, add rice, dried vegetables, and jerky - let it cook for 15 minutes. You can add one cup rice to three cups of water and make a delicious meal for two. To add a unique flavor to your rice meals, add a dash of garnish and dried herbs to your rice dish for added taste. Pasta is an evergreen source of carbohydrates that you’d definitely need when you’re hiking the trails all day. You can cook pasta very easily by boiling water, adding pasta, adding your sauces, dried vegetables, and pieces of jerky. Cover the pan and cook for 10-15 minutes till the jerky is soft to touch with a spoon or fork. This is a filling and delicious dish that will keep you going through your day and more. Users often have questions and queries about rehydrating beef jerky. Here are some of the frequently asked questions about rehydrating beef jerky. Q1) How long should I keep the jerky in water for it to rehydrate properly? Ans. Usually, 15-30 minutes should be enough if you plan to add the rehydrated jerky to another dish. If you have boiling water, you can reduce the time to 10-15 minutes. Q2) Can I rehydrate beef jerky in anything other than water? Ans. Yes, you can rehydrate beef jerky in soup, broth, and even wine. But keep in mind, your resulting rehydrated beef jerky will taste like the liquid you’ve rehydrated it in. Q3) I think I’ve over-dehydrated my beef jerky. Is there any way I can rehydrate it and make it edible? Ans. You can sandwich your beef jerky pieces in slices of bread and lock them in a ziplock bag and keep them in a freezer. The slices of bread will rehydrate the jerky pieces and later you can soak the jerky pieces in boiling water or soup to get them the right consistency for using with any kind of dish. Q4) I’ve rehydrated a lot of jerky by mistake. Is there any way I can store it for later use? Ans. It is not recommended to store the jerky for later use once you’ve rehydrated it. The jerky becomes susceptible to microbes and bacteria once it’s soaked in enough water. You need to either consume it or freeze it for usage in near future. But you should not store it for a long term period. Q5) I just want to eat my beef jerky as a snack when I am hiking. Do I need to rehydrate it? Ans. It totally depends on your preference for eating jerky. Regular dehydrated jerky is pretty tough to chew and it can take a lot of time to eat it. If you rehydrate it once, you will have a much easier time consuming it. Beef jerky tastes great when it’s properly dried and if you want to add it to your favorite dishes, you can simply rehydrate it. You can use hot water, cold water, soup, broth, and even wine to rehydrate your beef jerky. Rehydrated beef jerky is softer, easier to eat and it can be added to a virtually unlimited number of dishes to give the dish a meaty and fulfilling flavor. Rehydrating jerky is something that every jerky lover should try at least once and see if it can be a staple of their hikes and treks. Rehydrated jerky is rich in taste and flavor and it is also easier to eat because chewing dried jerky can take a lot of time and effort. With rehydrated jerky, all you need to do is add it to your dish while the dish is cooking and once it’s done, you will have a simple and delicious dish that will keep you going for a long time without feeling hungry. For more information about dehydrators, dehydrating recipes, and all kinds of information about dehydration, please browse through this blog. In case you’d like us to cover any particular topic, please leave a comment and our team will get back to you at the earliest.